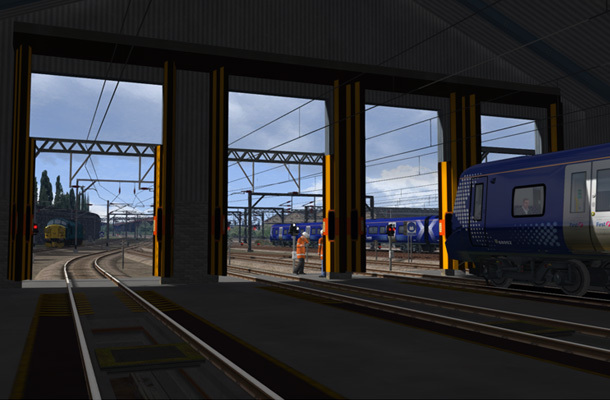 ... at Glasgow Central Station where we have modelled the terminus in great detail including the new platforms 12 and 13 that are accessible through the arch. The complex track work has been carefully reproduced along with catenary spans and signal gantry placement. 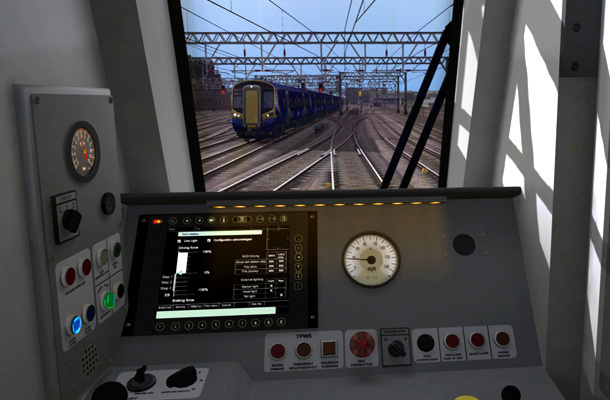 The line leaves Central Station to the West past Shields Electric Traction Depot which is currently under redevelopment and modernisation. 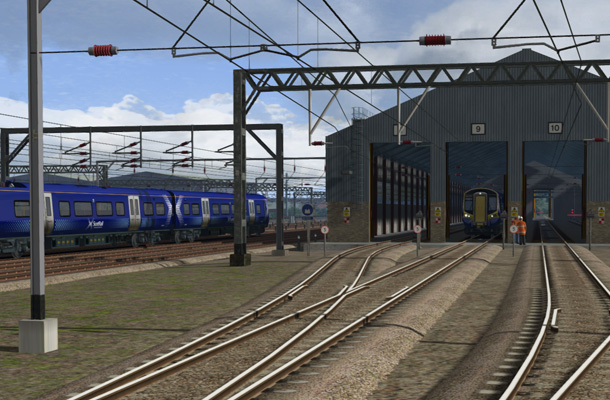 This is where the new Class 380 trains will be stabled and serviced. 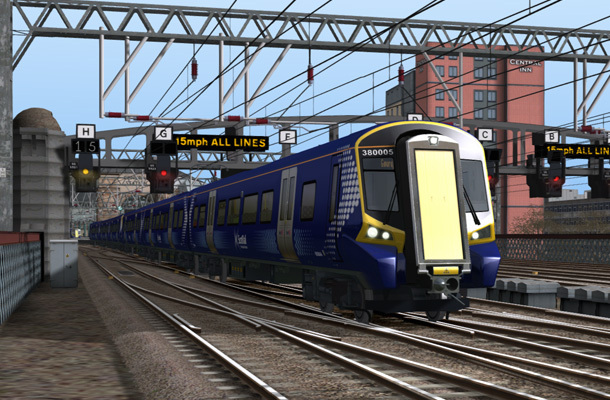 The line between Shields Depot and Paisley Gilmour Street handles passenger services to Ayrshire (Ayr, Largs & Ardrossan) and Inverclyde (Gourock & Wemyss Bay) and was intended to have capacity increased for the additional Glasgow Airport service. 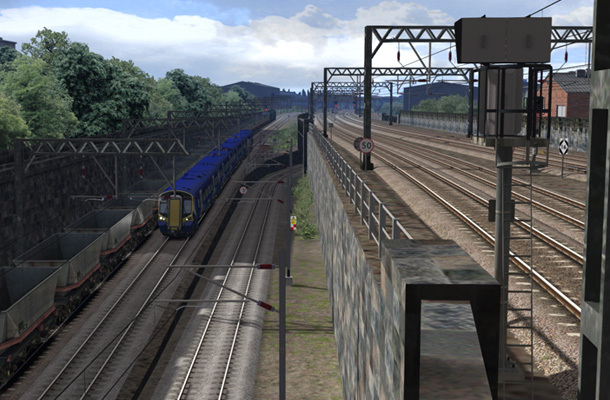 To achieve this additional capacity a bi-directional relief line was to be added between the existing Up and Down lines from Shields Junction through to Arkleston Junction East of Paisley. 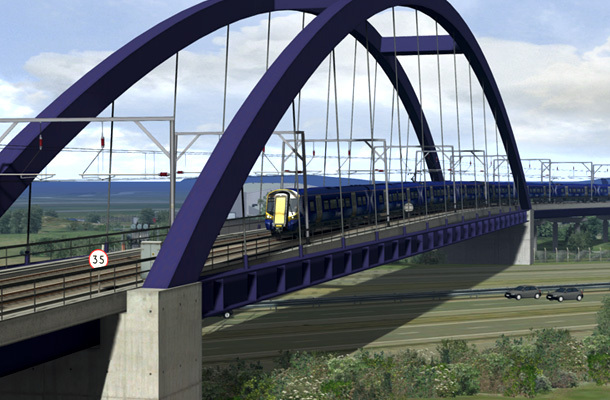 This new relief line has been modelled and will be signalled as per the original project plans. 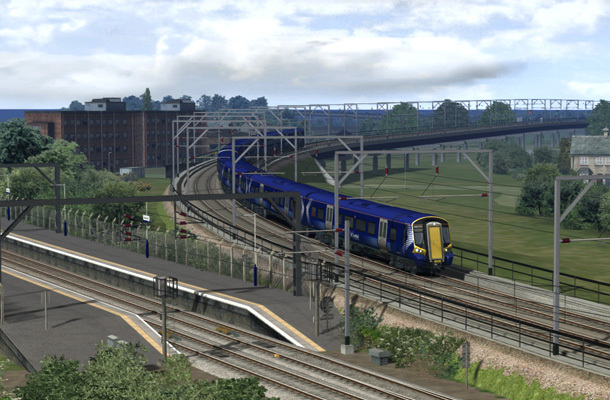 At Paisley Gilmour Street the line splits for Ayrshire services and continues Northwest for Inverclyde and Glasgow Airport traffic, the proposed Airport Junction is located shortly afterwards just prior to Paisley St James Station. 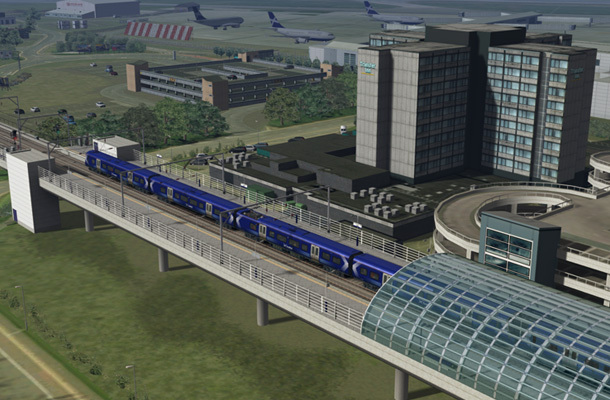 This Airport Spur is of double track design and is elevated on a new 1.9km viaduct that extends over St James playing fields and the M8 motorway terminating at the futuristic Glasgow International Airport Station. The Airport Link journey from Glasgow should take less than 15 minutes with one stop at Paisley Gilmour Street.